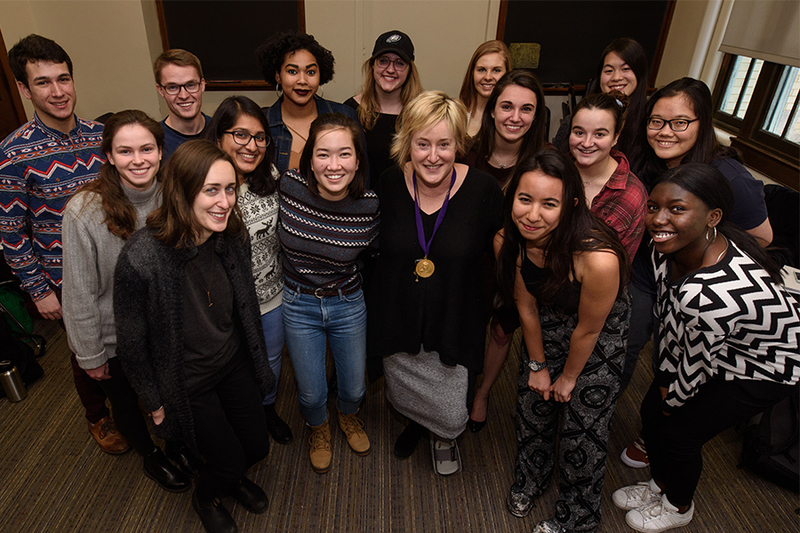 Lisa Tetrault, associate professor of history, has won the 2017-18 Elliot Dunlap Smith Award for Distinguished Teaching and Educational Service in the Dietrich College of Humanities and Social Sciences. Tetrault specializes in the history of U.S. women and gender, the history of social movements –particularly feminism—women’s health, and the politics of memory. In 2015, Tetrault’s book, “The Myth of Seneca Falls: Memory of the Women’s Suffrage Movement, 1848-1898” won the inaugural Mary Jurich Nickliss Book Prize in U.S. Women’s History.